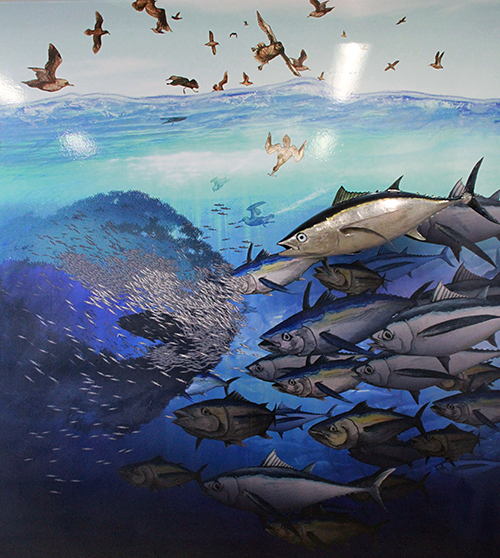 7 x 8 ft albacore mural, part of a museum display on albacore at the Charleston Marine Life Center. This image was drawn and painted in many individual parts and then combined digitally. It was then printed and mounted directly to the wall at full resolution with no loss. A model albacore was also placed on top of the image. Not shown in this image is a clear acrylic overlay with information about albacore that completed the display.